Joshua W. Kelley is a New York-based director known for tackling texts of various genres, styles, and methods of storytelling because - ultimately - he is interested in how content can always dictate form. Josh's work is characterized by a clear, specific vision, and performances that reflect a deep understanding of the text. In NYC, he has directed the world premieres of Jacob Marx Rice's Chemistry (Th﻿e Alchemical Theatre Laboratory) and Urinal (Roy Arias Stage II), Corey Pajka's Under Your Pillow (Perchance To Dream Theatre), and Levi Shrader's Hardships Jeer Love (Variations Theatre Group). Josh has also directed Harold Pinter's Party Time, David Mamet's School, the original musical Exit Row, and selections from Sam Shepard and Joseph Chaikin'sSavage/Love. He directed as well as curated ALL OF MY FRIENDS ARE WHORES: Pace Does Drew Fornarola at The Duplex Cabaret Theatre, and MINT'D: Concert A - Inheritance at The Pershing Square Signature Center as a part of The 2013 New York Musical Theatre Festival. This led to his collaboration with composer/lyricist Addison O'Donnell on CLUELESS: The Music and Lyrics of Addison O'Donnell at the Laurie Beechman Theatre. Josh has also worked on staged readings of rhythmic, animal perfection (Dixon Place) and the new musical, Fake It. As Assistant Director, Josh has worked onEvanston: A Rare Comedy (dir. Michael Rau) as a part of the 2013 National Playwrights Conference at the Eugene O'Neill Theater Center, the cell's world premiere production of Peter/Wendy (dir. Jeremy Bloom), New York Theatre Barn's production of Tamar of the River Oratorio (dir. Joe Barros), Merrily We Roll Along (dir. Amy Rogers), Anyone Can Whistle (dir. Amy Rogers), Hello Again (dir. John Ruocco), The Who's Tommy (dir. Bob Cline), and The House of Bernarda Alba. 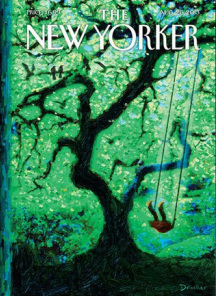 Eric Drooker is a painter, graphic novelist, and third-generation New Yorker, born and raised on Manhattan Island. His paintings have appeared on dozens of covers of The New Yorker, and hang in numerous collections, while his graphics and street posters are a familiar site in the global street art movement. He won the American Book Award for Flood! 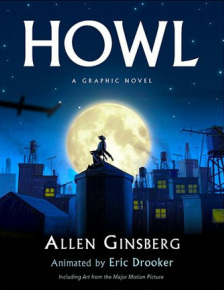 A Novel in Pictures, soon followed by Blood Song, and Howl: A Graphic Novel. He was Animation Designer for the film, Howl, and was later hired by DreamWorks Animation. Ali Skye Bennet is an unmatched artistic leader who has been performing and creating theatre since childhood. NYU Tisch School of the Arts, 2001-2005. A recent addition to the full-time staff of the prestigious, critically-acclaimed Vineyard Theatre as Associate Producer, she spent the last three years as the Producer & Company Manager for Obie & Drama Desk Award-winning off-Broadway theatre company, Transport Group. Select past projects include: Company Producer for PuppetCinema (Planet Egg, Washington Post Editor's Pick, Capital Fringe 5-star "Best of the Fringe" selection); Company Producer for classical-experimental company, American Centaur; intern for internationally / critically-acclaimed theatre company, Elevator Repair Service (Gatz, The Sound and the Fury, The Sun Also Rises). Ms. Bennet is also an accomplished actor, dancer, writer, and an award-winning photographer with international publication (Image International, Photolife Magazine), and has traveled all over the world documenting her adventures and the people she meets through her photos and journals. Proud member of the Drama League, and the Commercial Theater Institute's 2014 14-week program. Renowned poet, founding member of a major literary movement, songwriter, teacher, photographer, world traveler, champion of human and civil rights, political gadfly, spiritual seeker, and co-founder of a poetics school, Allen Ginsberg (1926-1997) defied simple classification. As a poet, he will probably be remembered most for two lengthy masterworks: “Howl” and “Kaddish.” Other select poems illustrate Ginsberg’s expansive interests and styles: “Sunflower Sutra,” “America,” “Wichita Vortex Sutra,” “Wales Visitation,” the interconnected poems of The Fall of America, which won Ginsberg the National Book Award, “Father Death Blues,” and “White Shroud.” The overall body of Ginsberg’s work remains one of the most impressive literary canons in American history. Ginsberg, who understood the currency of publicity from his youthful days as a marketing researcher, embraced his role as the Beat Generation’s most eloquent and persistent spokesperson. In 1973, he and poet Anne Waldman co-founded the Jack Kerouac School of Disembodied Poetics at the Naropa Institute in Boulder, Colorado, ensuring a continuing legacy of the study and practice of Beat Generation-influenced writings. The 1956 publication of Howl and Other Poems established Ginsberg as an important voice in American poetry. But Ginsberg would achieve international fame a year later with the highly publicized Howl Obscenity Trial in San Francisco. This served as a catalyst in fomenting Ginsberg’s lifelong obsession with First Amendment issues in particular, and political activism in general. Using his fame as an international podium, Ginsberg spoke out on such controversial issues as the Vietnam War, gay rights, and drugs. Credited with coining the term “Flower Power,” Ginsberg became a figurehead of the global youth movement in the late 1960s. At times, his opinions landed him in trouble: he was expelled from Cuba and Czechoslovakia in 1965 and, like many outspoken artists and activists, became the subject of a voluminous FBI dossier. The life and writings of Allen Ginsberg continue to be of great interest today, long after he succumbed to liver cancer in 1997. Nearly all of his books remain in print. Four books of writings and interviews have been posthumously published, and new volumes of journals and correspondence are forthcoming. His poems appear regularly in anthologies around the world, and his photographs are constantly recycled in books and magazines. Universities regularly offer Ginsberg and Beat Generation curriculum courses. Alex James is a New York City based stage manager. Off-Broadway: The Berenstain Bears Live!, Jay Allan Zimmerman’s Incredibly Deaf Musical. Other NYC credits: Infallibility (Fringe NYC 2013), SoundBites (Theater Now New York), A Lasting Impression, She Loves Me (Pace). Graduate of Pace University. Michael Costagliola is a Brooklyn-based sound designer and composer. He studied music at Brown University, where he received the Weston Award for Music Composition. He is a Teaching Artist in Sound Design for the Roundabout Theatre Company and is the resident composer for the AntiGravity Theatre Project. His work has been heard in New York at La MaMa, Manhattan Theatre Club, the Brick Theater, Incubator Arts Project, The Martin E. Segal Center, Dixon Place, Brooklyn Arts Exchange, and Magic Futurebox among others, as well as at various theaters in Providence, Philadelphia, Boston, Madrid, and across Europe and India.